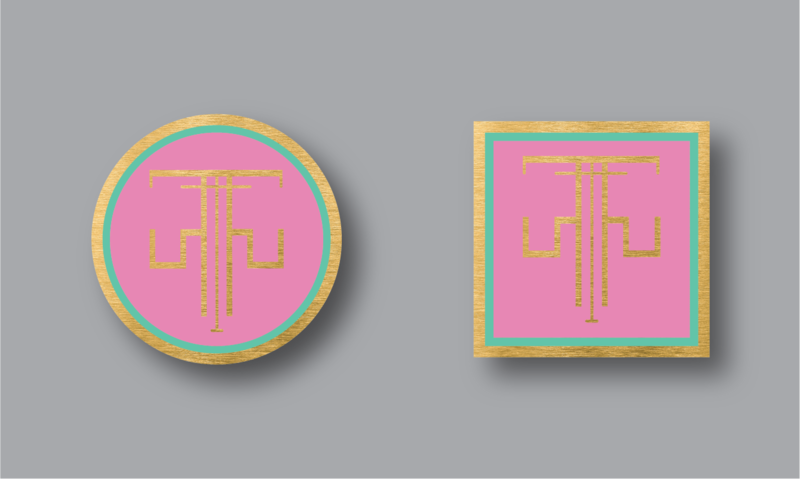 We’re always happy to design for friends and friends of friends. 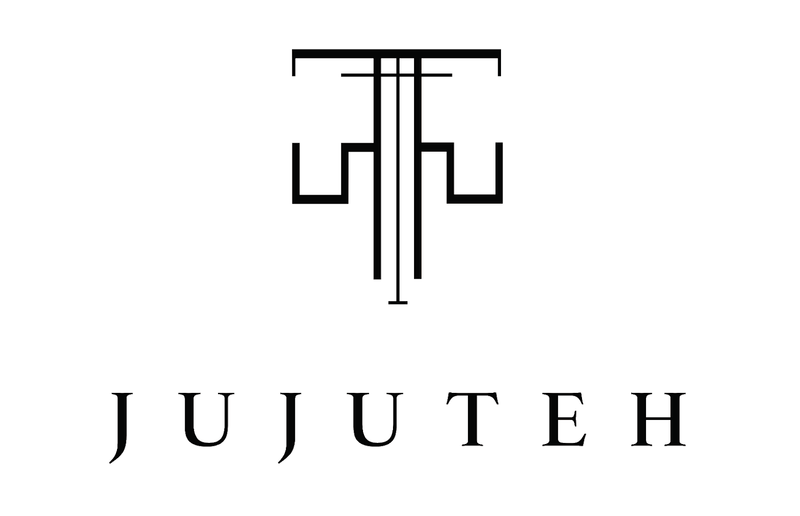 That said, Jujuteh was a project we were instinctively drawn to, due to the infectious enthusiasm of this client. We were given a brief about her proposed online venture based out of America yet deeply rooted in India. Global shoes with an Indian soul (sole). She wanted to launch a brand of hand-crafted Espadrilles using embroidery techniques from different parts of the world. And one fine day, she gave up her job as a research scientist and dove right into the world of shoes. The client has wonderful aspirations for the brand and wanted us to create something that could stand alongside any other globally reckoned house of fashion. 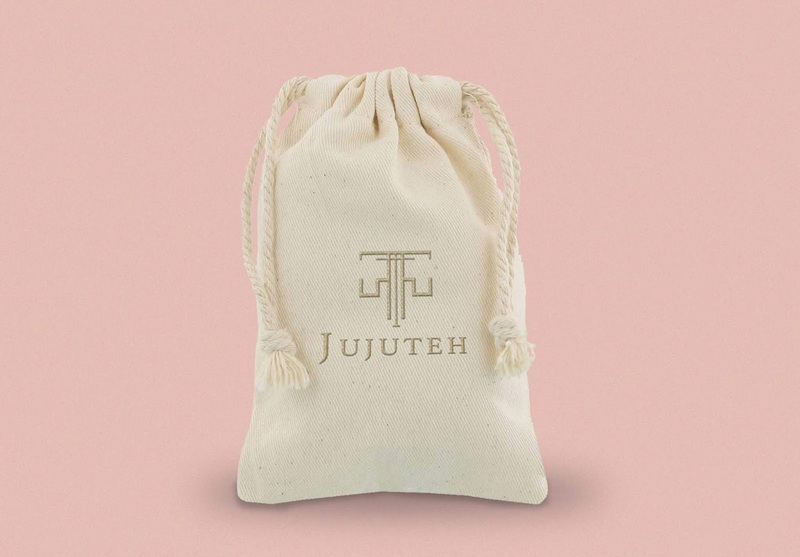 Brand Name: The word Jujuteh is a combination of ‘Ju’ from Jute and ‘Jutey’ the Hindi word for shoes. The first decision was the toughest one – ‘Jujutey’ vs ‘Jujuteh’ for the brand name. The unanimous decision was JUJUTEH and the idea began to take shape. Logo: After various combinations of fonts, hand drawn letters and multiple iterations – this is what was finalised. We’ve used the alphabet j from the beautiful Devanagari script for j as a mirrored image to create the monogrammed symbol. 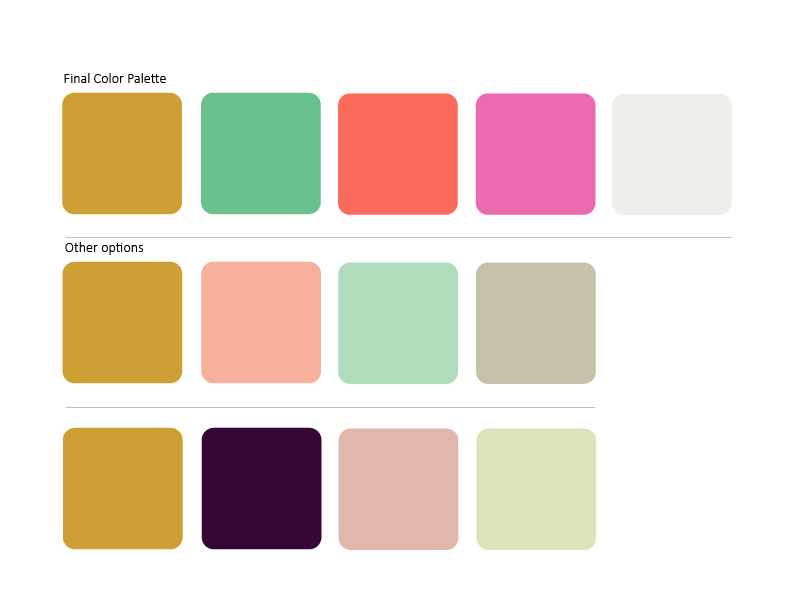 Colour Palette: While most people think that making a logo is half the battle won – you haven’t really been to battle, until you’ve arrived at a colour palette. Many palettes later we were able to narrow it down to 3 palettes and arrive at the final one. 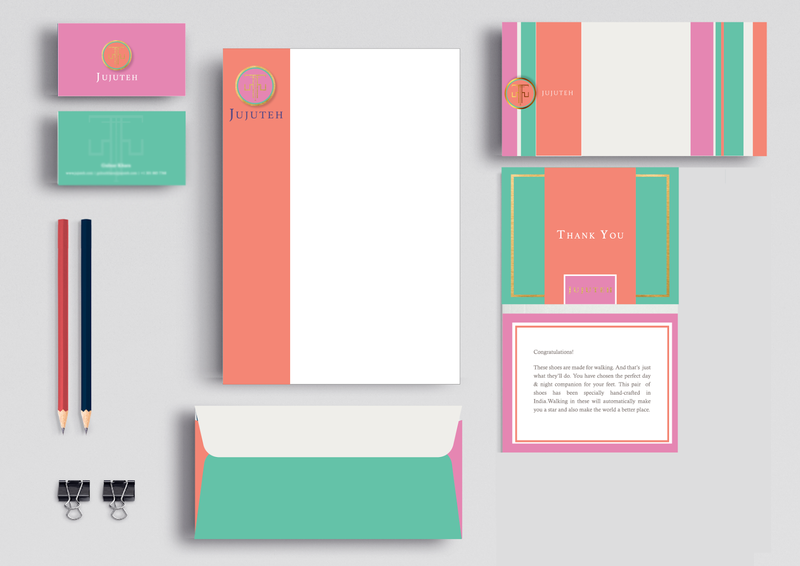 We’ve created a full range of stationery for business use as well as collateral for the brand. 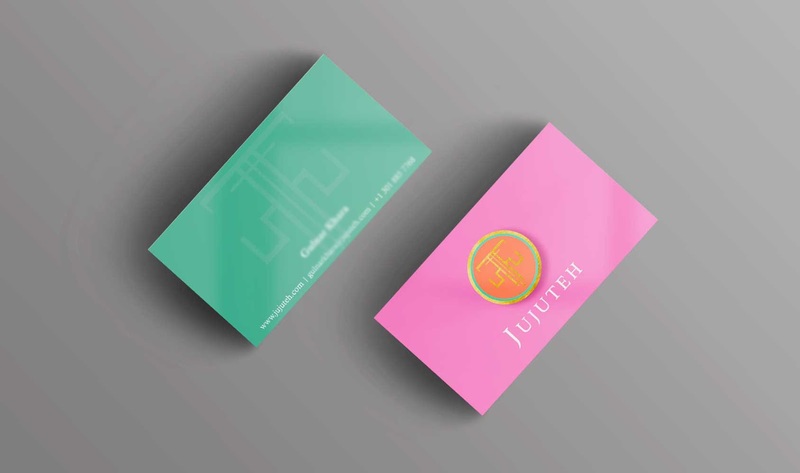 Business Card: The business card was designed to be made in Gold foil with a bright and rich colour palette. It is a two-sided card with the emphasis on the brand logo on one side and the cardholder’s details on the reverse. 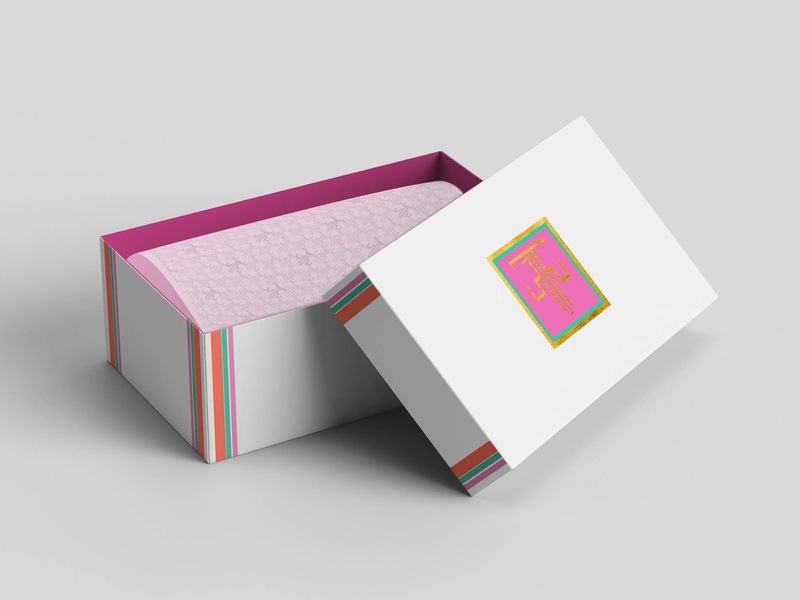 Stationery: The letterhead and envelope follow the theme of the cards and incorporate the ethos of the brand – a young, vibrant brand with bold colours and happy soles. 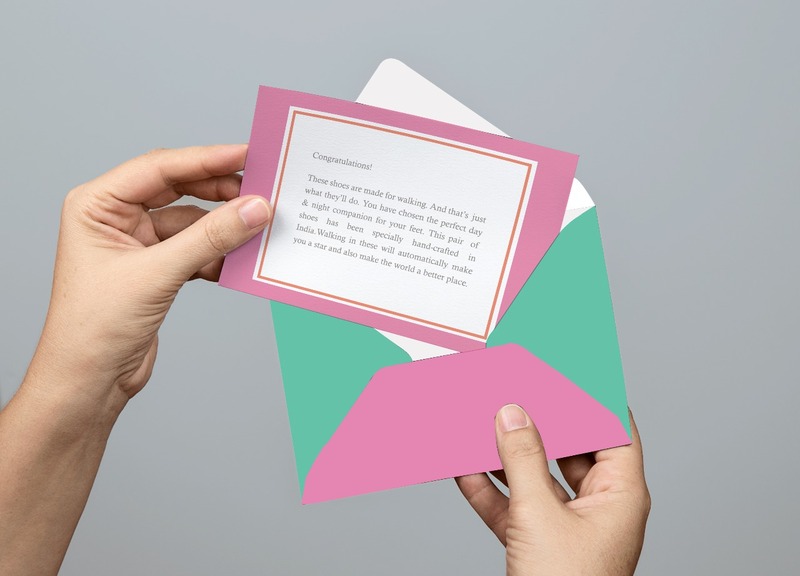 Thank You Card: Since buying online has become a preferred way of shopping, what sets brands apart is the level of personalisation through their products. It is always wonderful to receive a little note or letter with a purchase and that is what we’ve done here. 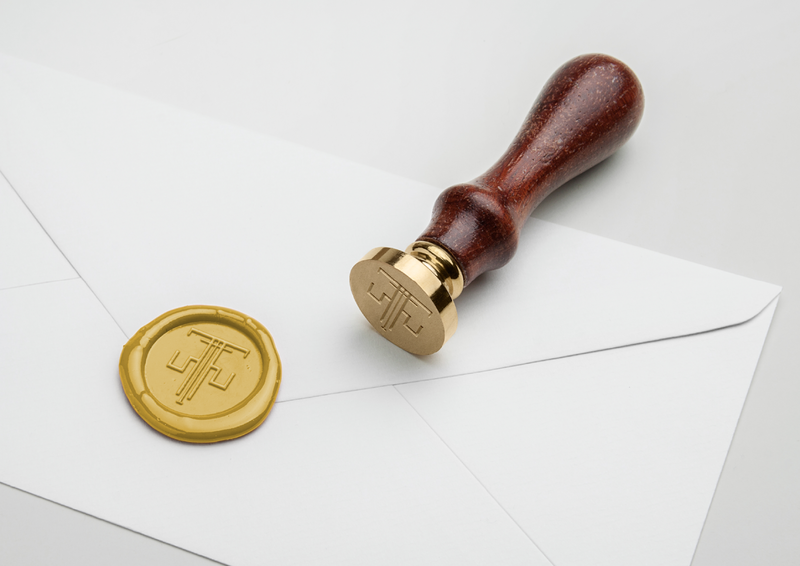 A small note to say thank you and brighten your day is sealed with a gold wax seal and included in each shipment. Boxes, Bags and more: Receiving your online purchase is like receiving a present. It is paramount to the customer experience that there is exciting packaging and all the little details count. These are things that can make or break brand loyalty. We created a lovely cardboard box with two options for the inside a natural jute bag inside combined with wrapping paper with the brand pattern on it. Wrapping Paper: With online purchases often being presents, it is important to offer wrapping services. 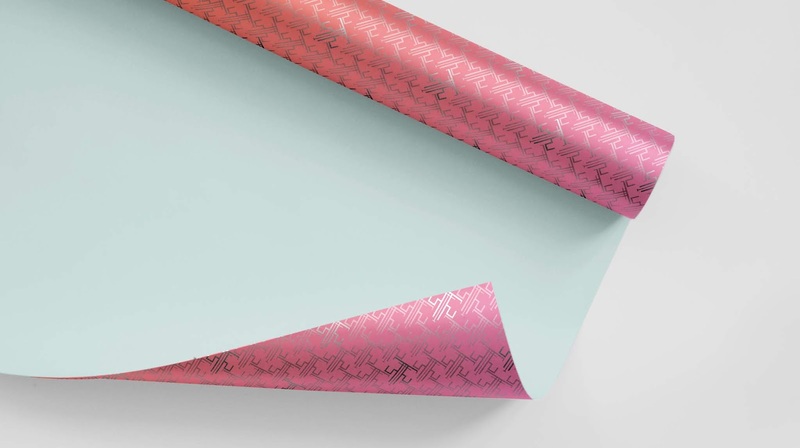 We created 2 sets of wrapping paper in teal and a shaded peach and pink paper.